Fear Effect Sedna proves that it can fit in as a true sequel to the Fear Effect series, but still has a few kinks that need to be worked out in the end. Certain gamers might recall the Fear Effect series sparking a large amount of drama back in the day regarding its promotional marketing. 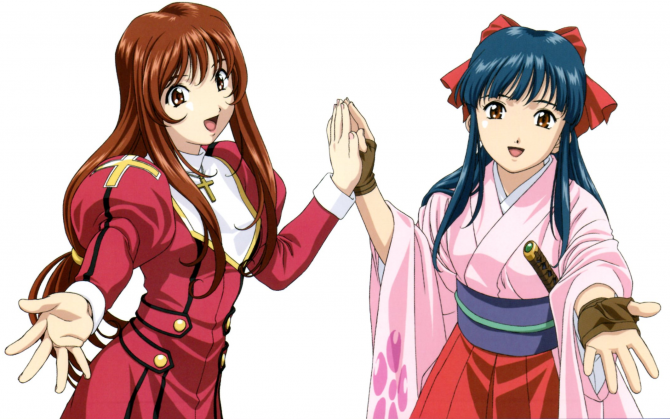 The series starred a female mercenary lead, Hana Tsu Vachel, who happens to be bisexual. Where this drama stems from in the use of Hana’s sexuality with her girlfriend Rain Qin during some of the series’ cutscenes and that played a part in how it was promoted. Sadly, the third entry in the trilogy never came to be, and the series fell off the face of the Earth until a brave developer, Sushee Games, announced Fear Effect Sedna. 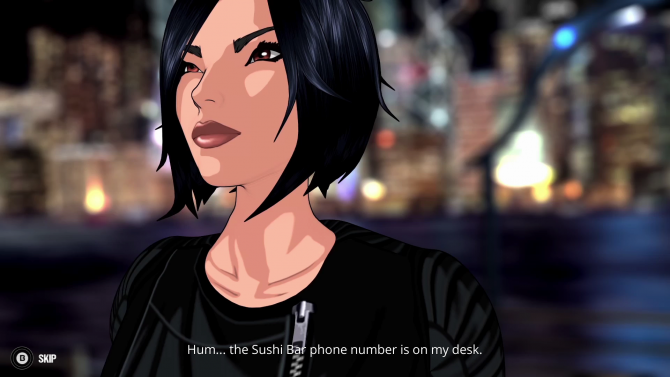 While Fear Effect Sedna sported the same cel-shaded graphics as its predecessor, the developer has taken some liberties with the gameplay and has deviated from what fans are used to. 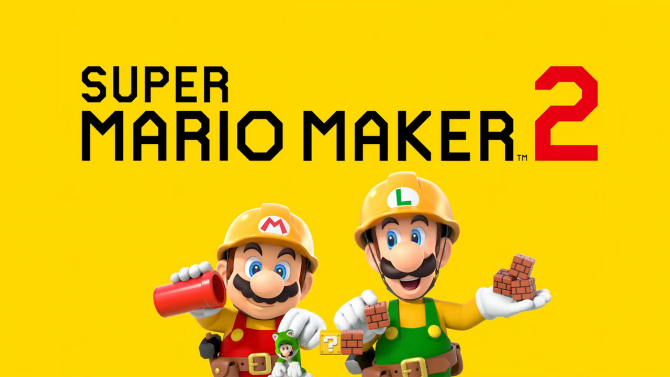 Being a series that I personally grew up with, I can say that I was excited about this new game’s existence, but I was hesitant to get my hopes up on the final product being something that I could enjoy. However, my hesitation ended up being unneeded, since Fear Effect Sedna is not only a respectable continuation of the Fear Effect series but the liberties that Sushee Games took breathed new life into these aging mercenaries. Fear Effect Sedna begins with a new mission offered to Hana and Rain. Evidentally the two will do anything for the right price and agree to infiltrate a museum and steal a relic. During the first couple hours of the game’s story, there are a few nice reunion scenes between old characters. It’s clear that the developer has a lot of respect for these characters because the story of Fear Effect Sedna is not only gripping but full of classic Fear Effect humor and banter. The story is so good that I found myself hurrying through some of the gameplay sections just to get to the next cutscenes to see what happens next. 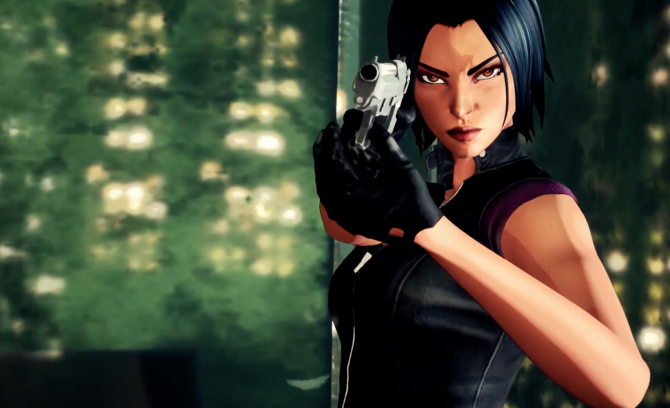 I enjoyed how Sushee Games made this series their own by not playing it safe with the story and, coupled with a great cast of voice actors, the story of Fear Effect Sedna completely steals the show with its clever progression and character growth. 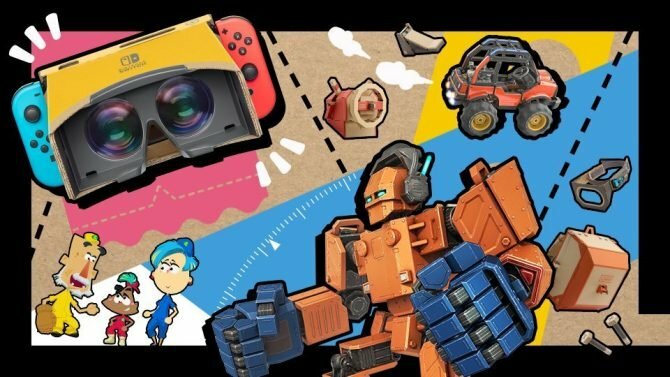 I was surprised to find myself more attached to these characters than I have ever been and was glad that they ended up in the hands of developers that seemed to care about them. Fear Effect Sedna is an isometric tactical shooter with stealth and puzzles mechanics throughout every stage. 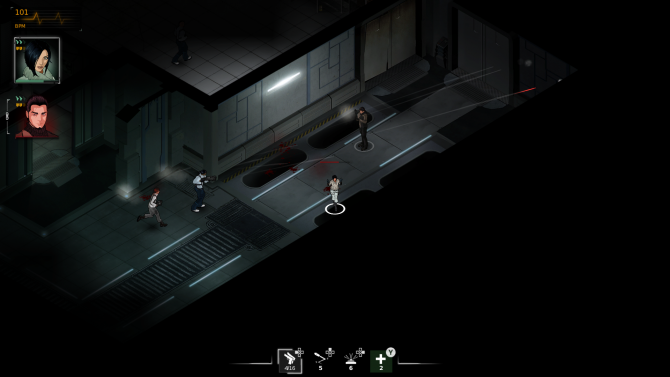 Players are able to control a team of characters and lead them through the level in order to accomplish the mission at hand. These levels can seem linear and basic, as each area consists of a group of guards that needs to be taken out in order to progress the story. Sadly, these encounters were my least favorite part of Fear Effect Sedna due to the idiotic enemy AI and subpar stealth mechanics. Basically, encounters play out the same each time: An enemy spots you or your team member and they run directly at you guns blazing. If there’s more than one enemy they will often group up and become easy targets for your bullets. If your character dies then the playable character will automatically switch to a team member who is still alive. After a fight, the fallen parties will revive on their own. Be prepared to have a nice supply of medkits ready because you will most definitely suffer damage every time you are spotted. 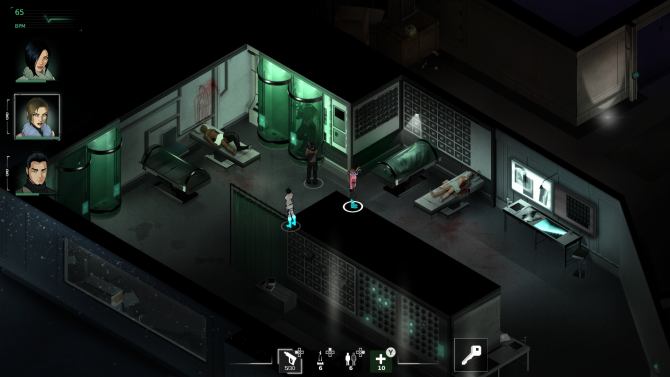 Whats more disappointing about all this is that Fear Effect Sedna has a decent cover system that I rarely was able to use because the enemies played dirty and just ran over and shot me. Additionally, there is a system that allows the player to stop time and position their entire party to surround enemies. However, I never had the chance to use this because there really isn’t a point to when being spotted turns into a battle of sustaining HP and shooting haphazardly rather than taking cover and flanking. Each character is able to use a couple different special weapons in fights, such as a flamethrower, grenade, or taser. I normally only used these weapons during boss battles and never really had a reason to use them during a normal fight. This was probably because my character would die in the time it took for me to switch weapons. Additionally, there is a Fear system that will fill up as the character takes damage. During high Fear moments, the character’s defense will become weaker but ultimately cause more damage. When it comes to stealth gameplay, let’s just say, more times than not I was caught. Since AI partners could be spotted by enemies, I would usually leave them at the beginning of the level and call them over if needed. The enemy’s walking paths were not ideal for sneaking up behind them or using cover to avoid their eyes. It seemed as though the developers just randomly placed enemies across the level because the rhythm of their pacing never seemed to open a window of opportunity to get through unspotted. Furthermore, there isn’t an option to move dead bodies so guards are constantly alerted by their fallen comrades. As much as I like stealth gameplay, I found it easier to just rush in shooting and hope that I had enough medkits to heal up after. Thankfully, shooting at brainless enemy AI isn’t all that Fear Effect Sedna’s gameplay has to offer. 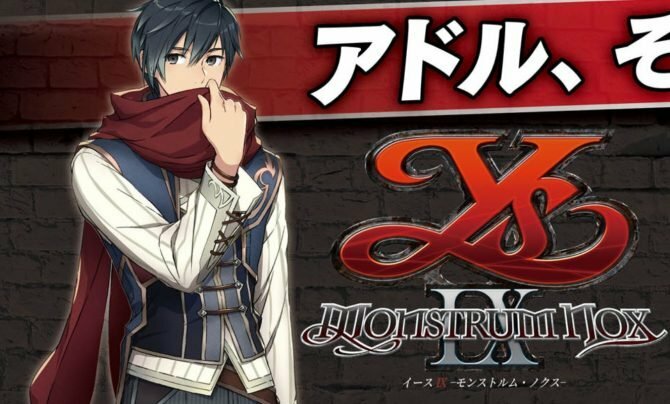 There are some really interesting missions that require the player to go undercover and participate in mini-game type missions in order to progress the story. 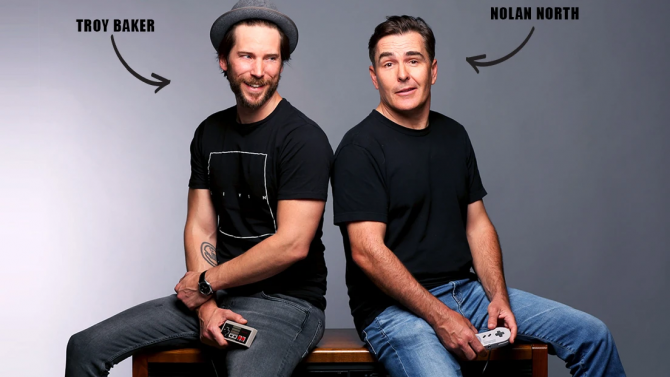 Some of the missions include listening in on conversations or finding a way to sneak a keycard away from a receptionist. These missions vary but offer a nice break from the typical action missions. I’d like to point out that the puzzle design in Fear Effect Sedna is phenomenal. The difficulty of the puzzles do require you to use your head, but in the end, they are solvable without the use of guides. Every encounter with a puzzle was met with joy on my end because I knew that at the end of it I would feel incredibly smart for figuring it out. However, some puzzles require a lot of trial and error which had me seeing the game over screen many times. Although this is also a call back to the classic death scenes from previous Fear Effect titles, I just wanted to rush in and try the puzzle again as quickly as possible. Thankfully, the game is gracious with checkpoint so it was easy to jump right back in for another attempt. As good as these puzzles were, I would have liked to see the game offer more submissions to discover in the levels, aside from the secret totem hunt, which unlocks concept art. Certain levels can be quite large, but the linear nature of the missions had me just rushing through to get to the end of the stage. Had there been optional quests I could see myself spending more time exploring the environments. 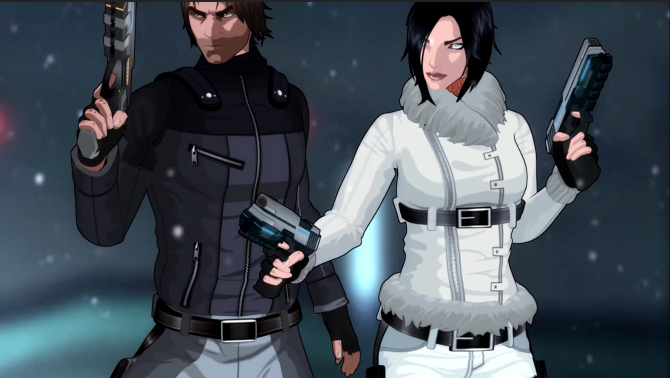 Fear Effect Sedna presents many good ideas that aren’t allowed to be used to their fullest potential, such as stealth being unneeded even though there is a really interesting system to stop time and tactically move around your characters as well as a decent cover system. Furthermore, the gunbattles end up feeling more like a test of endurance of HP rather than a tactical experience. However, the game’s beautiful environments and character design did well to distract me from these mindless enemy encounters. Ultimately, Fear Effect Sedna is saved by a great story and awesome puzzle design. I found myself completely impressed with where Sushee Games took the Fear Effect series despite the game’s shortcomings. Fear Effect Sedna proves that the Fear Effect series can survive in a modern gaming climate and flourish. During my time with the game, once the story began to take unbelievable twists and supernatural elements made there way into the narrative, I truly felt like I was playing a new Fear Effect game and that’s a lot of what I was hoping for from Fear Effect Sedna.